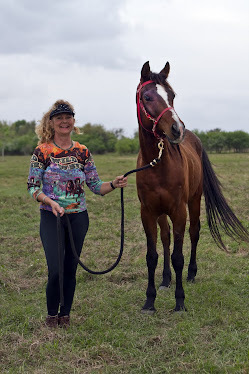 Donna's love for the Azteca horse is how she came to name her stables Azteca Stables. She bred her first Azteca horse, Shanti in 1989, and has raised a number of foals and fillies. 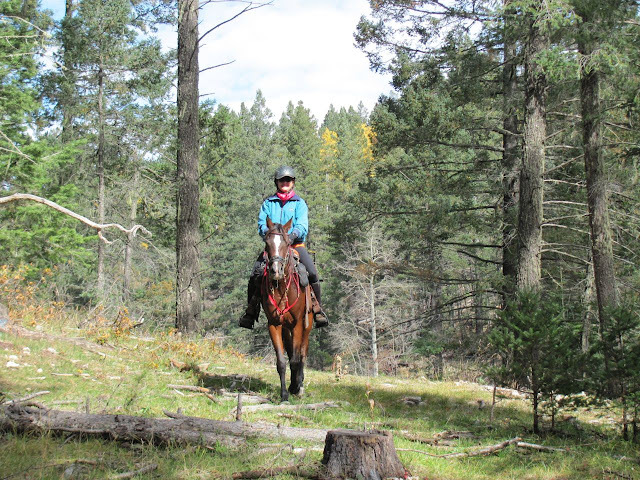 Donna trained Shanti to be very versatile, she did dressage, drill team, trail riding, endurance riding, parades, and then Shanti became a broodmare. 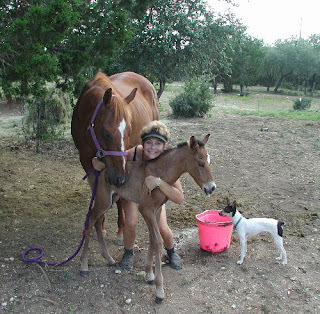 One filly was named by the International Andalusian Horse and Lusitano Association a Grand Champion in halter and a colt is now an Azteca sire at a ranch in Wyoming. intelligence, makes them a pleasure to work with and train. earned the title of the "National Horse of Mexico". The Andalusian / Lusitano, is an ancient and rare breed. They are very sturdy with long sloping shoulders, natural collection, extremely sturdy legs and hooves. These horses are sought after for their quiet temperament and are easily handled, yet have a reserve of energy when called upon. The Andalusian / Lusitano throughout history were revered for their abilities when used as a warhorse, and Spain’s history owes it’s strength to the powerful war horses. Still today, these same skills are used in Spain and Portugal to work cattle and are the notorious horses for fighting bulls. In the bull ring they carry their riders with unimaginable grace and speed. In the Spanish riding schools, and in all phases of dressage, these horses excel like no other. Today 80% of all modern breeds including the Quarter horse trace back to the illustrious, ancient horse of Spain and Portugal. Average size ranges from 14.2 t 16. hands. 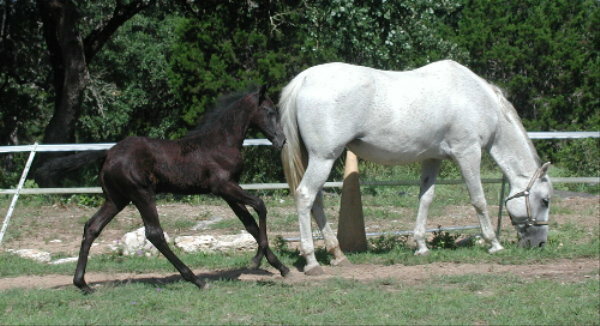 All AQHA and APHA marking and colors are acceptable. The head is of medium size with a straight, slightly convex or slightly concave profile with a broad forehead, expressive eyes and medium ears that are mobile and well placed. The neck is well muscled, shapely, and slightly arched with a medium crest and a broad base where it joins on to a long sloping should. 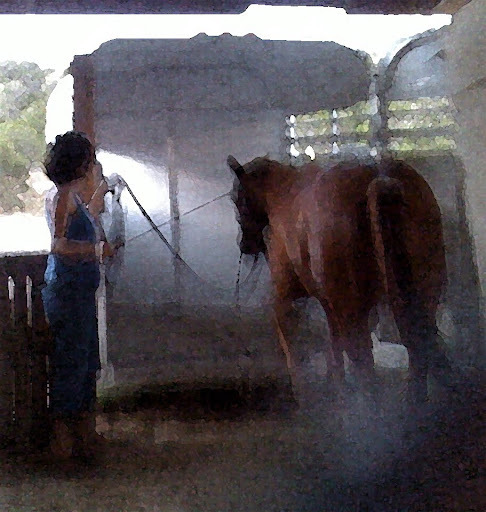 A long flowing mane and tail are often seen, which are from the Spanish blood. 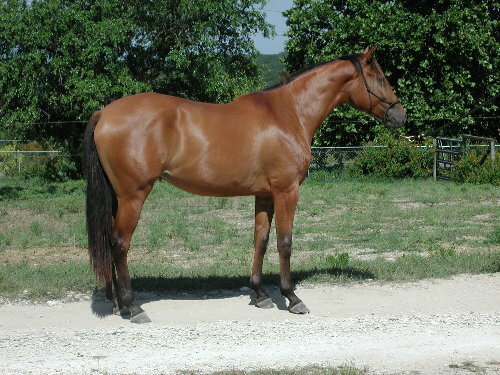 The withers are broad and slightly muscled, yet defined. The haunches, strong and well muscled lead to a well-set medium to low tail. The legs are well muscled with strong, dense bone, good joints and strong hooves that many describe as “hooves of iron”. 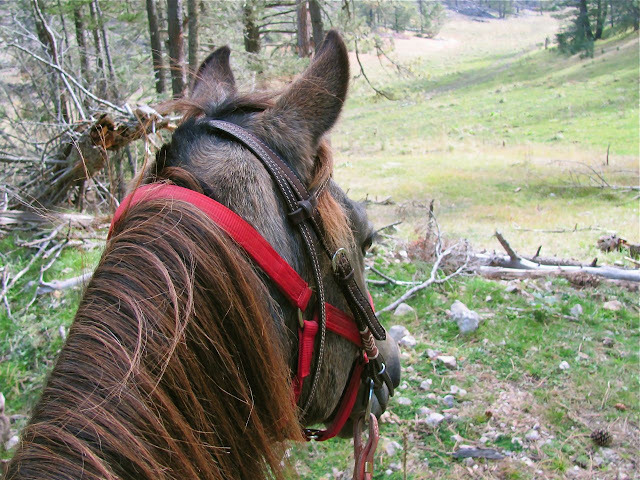 The Spanish blood contributes to a free shoulder and hip, which allows them to be incredibly athletic and smooth to ride. Their movement is a naturally collected with a variance of knee action from high and brilliant to long and flowing. All of this creates a horse anyone will be proud to own. The American Azteca Horse responds brilliantly to the different equine high school disciplines requiring suspended and elevated gaits. 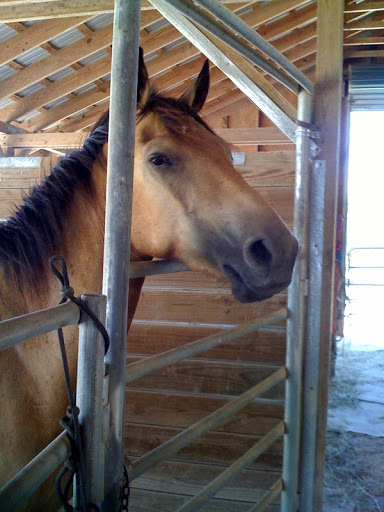 They also have the ability to be a skillful working cow horse or western horse. They can and do excel at many events and in all disciplines. They are unrivaled when it comes to versatility. do it all and do it well. The Azteca is an athlete that will win your heart and have a promising future ahead. 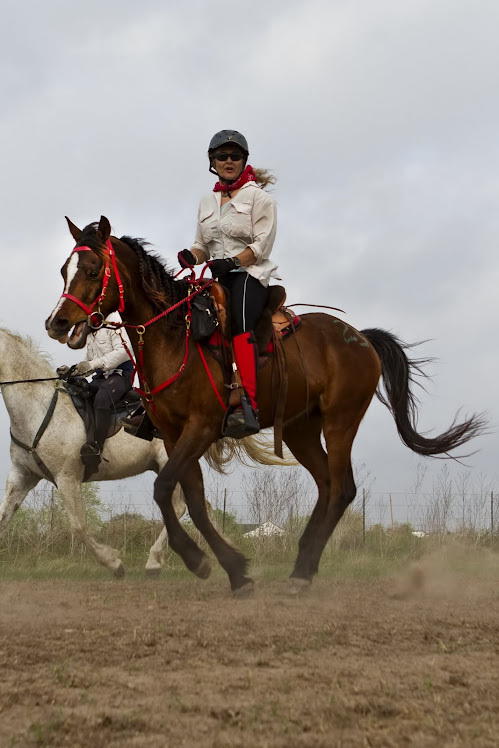 They can be registered as an Azteca and /or be registered with the International Andalusian/Luitano Association as a Half Andalusian/Lusitano. The Azteca is truly a horse of your dreams. This is an Azteca bred by Donna, Grand Champion yearling in halter!